7 quick and dirty tips for easy RV washing and waxing that preserves the gel-coat surface, minimizes oxidation and protects your investment. 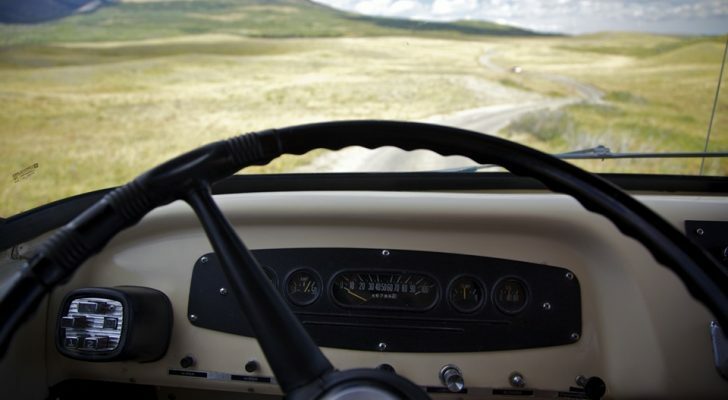 Spring is here and it’s time to get your RV ready for the road. 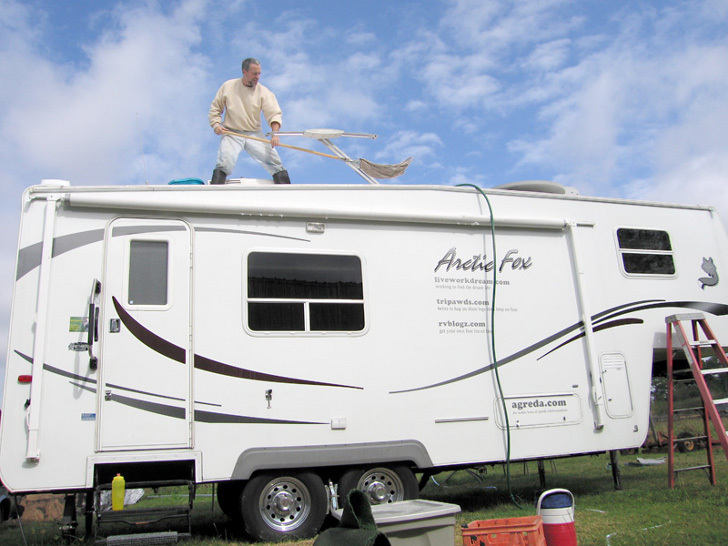 Maintaining your RV’s exterior by cleaning and protecting the gel-coat is the best way to start. Although it’s not fun, regular RV washing makes your home on wheels look better, especially if you follow these seven quick and dirty RV washing tips. 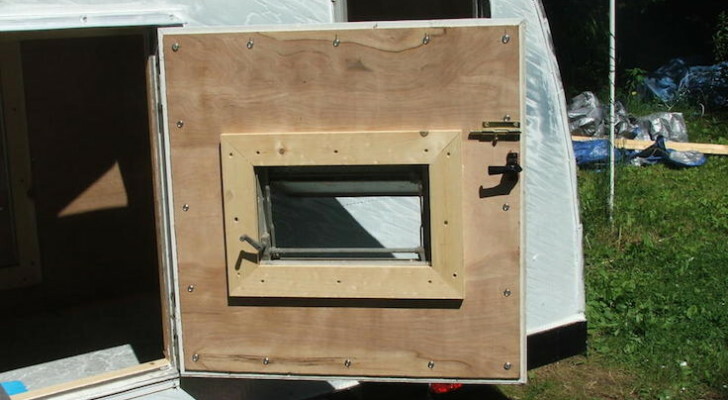 Spring cleaning your RV starts on the outside. All new RV’s leave the factory with a protective gel-coat that slows down damage from sun, weather and the highway. The longer you leave dirt and grime on the surface, the faster it wears down that protective coating, making your rig look old and weather-beaten. It doesn’t matter if your RV has a fiberglass or metal body, regular RV washing and waxing at least once a year keeps it looking good. As a bonus, bugs and road grime fall off much easier when you maintain the gel-coat finish. 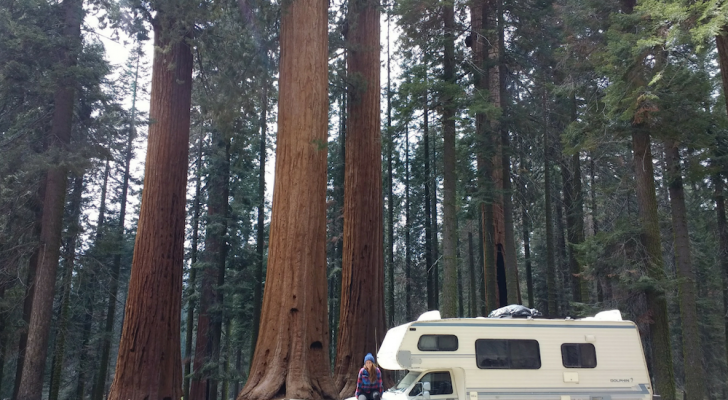 Frugal RVers are often tempted to use dish soap for washing your RV. But before you reach for that bottle of lemon-scented goo, stop! Dish soap is harsh and strips away the gel-coat. It also leaves a film. The longer that film sticks to the gel-coat, the faster the gelcoat deteriorates. 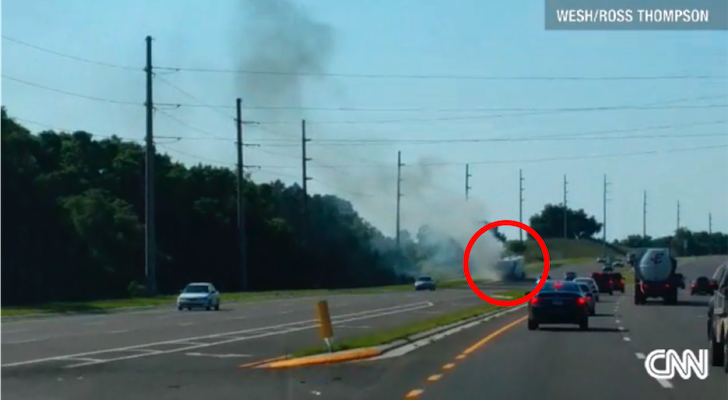 RV owners have all sorts of favorite products to wash RVs. Some, including many dealers, recommend RV washing with simple baby shampoo, with small amounts of distilled vinegar added to the water. The baby shampoo won’t leave a film and by adding vinegar, you’ll boost the washing power of the shampoo and eliminate water spots. 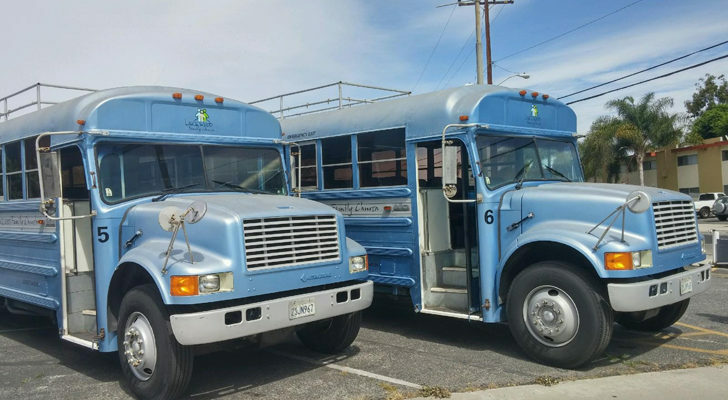 Waterless RV washing products are a good choice for two reasons: they won’t dry out your clear-coat and they’re eco-friendly. Products like Wash Wax All are especially great for full-time RVers who live in parks and campgrounds where rig washing is prohibited. Using waterless RV washing products also means you won’t need to use valuable storage space for hoses and buckets. As a plus, you’ll be an eco-friendly RVer by saving water. Waterless RV wash products are great for full-timers. 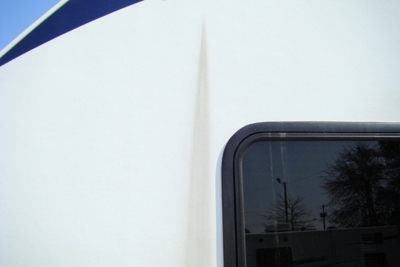 Gel-coats are tough, but they can’t stand up to microscopic surface scratches caused by washing your RV with microfiber towels and scrub brushes. 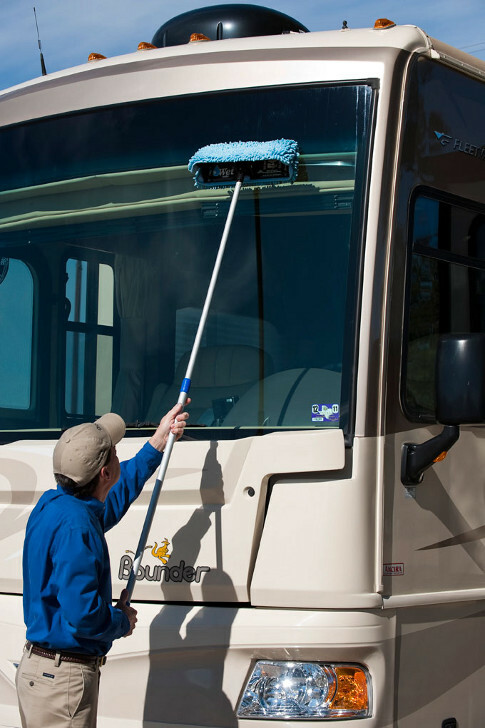 Microfiber is made with polyester (and many brushes are too), which may scratch your RV’s gel-coat. Instead, use softer fabrics like cotton baby diapers or lambswool mitts that won’t damage the surface. One DoItYourselfRV reader named Drew noticed that Winnebago recommends microfiber towels in this document. Still, many car detailing enthusiasts note that microfiber towels often have tags or a rough hem that may scratch gelcoat. You might consider playing it safe and opt only for the lamb’s wool mitt. Each time a bug hits the front end of your rig it splatters an acidic fluid that attaches to the gel-coat. Over time that bug juice causes pits and wears down the surrounding protective coating. Wash off bug residue as soon as you return home to prevent damage. Add a finishing touch by protecting your gel-coat with floor wax. Many RVers recommend using floor wax after washing your rig. Some however caution against using it on newer rigs, and say floor wax is better for RVs that have already lost their clear protective coating. Washing your RV can be a chore but it pays off by preserving your hard-earned investment. With outside temperatures warming up, what are you waiting for? Thanks for your comment Drew. Many car enthusiasts agree that microfiber towels could damage paint if cheap microfiber material is used, or the edge stitching on the towel rubs the vehicle’s surface. With lamb’s wool, you’ve got a better shot to avoid scratching from the towel/mitt material itself. Here’s some more forum discussion. Funny, The Winnebago recommendations include the use of micro fiber towels…I wonder which article has the correct method(s)? Fantastic DIY Tear Drop Build. You’ll Want to Get Building Yourself When You See These Pictures.